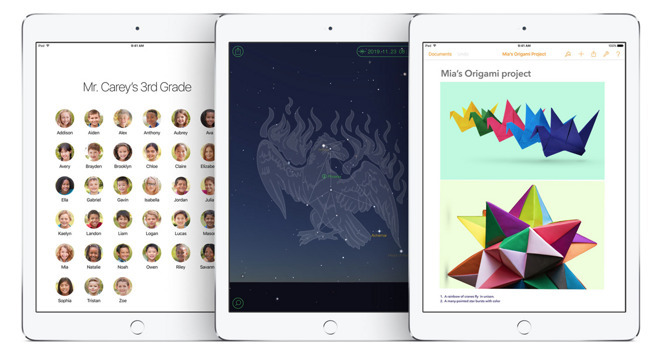 Alongside the release of iOS 9.3 beta 1 on Monday, Apple published a new website previewing education features from the upcoming software update. 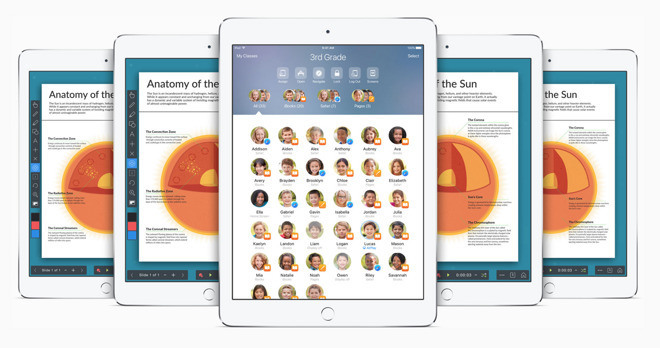 Most notably, iOS 9.3 boasts a new feature called "Shared iPad," which allows a student to log in on any iPad and access their personal content. "As soon as students log in to an iPad, they have access to all their apps, books, and documents. So when class is ready to start, they are, too," Apple's site reads. Shared iPad features intelligent caching, which allows students to instantly access their content once they log in, with no need to wait on downloads. It also includes a feature called "Photo ID," which displays a student's picture on the iPad they have been using, making it easier to find their personal device. Apple also includes a simpler login for younger students, with just a four-digit PIN on the lock screen. iOS 9.3 also includes a new Classroom app, which gives a number of capabilities to teachers. With Classroom, teachers can launch everyone's apps at the same time, and then guide what students are looking at on their devices. The Classroom app also includes "Screen View," which gives teachers the ability to glance at any student's screen and see how they are doing on an assignment. Teachers can also project a student's work on a television equipped with Apple TV, and forgotten passwords can be reset right in the classroom. Another new feature is dubbed Apple School Manager. It's one central place for administrators to create Apple IDs, build courses, and access everything they need to deploy iPads in the classroom, and it can be configured from a Web browser on a Mac or PC. Apple School Manager makes it easy to make volume purchases of books and apps. It also includes the ability to find devices a district has purchased through Apple or a reseller. Finally, Apple is also introducing Managed Apple IDs with iOS 9.3. With this, accounts can be used to store documents in iCloud, enroll in iTunes U courses and more. Because Managed Apple IDs are designed specifically for schools, administrators can easily reset passwords, audit accounts, create IDs in bulk, and create customized roles for everyone in the district.